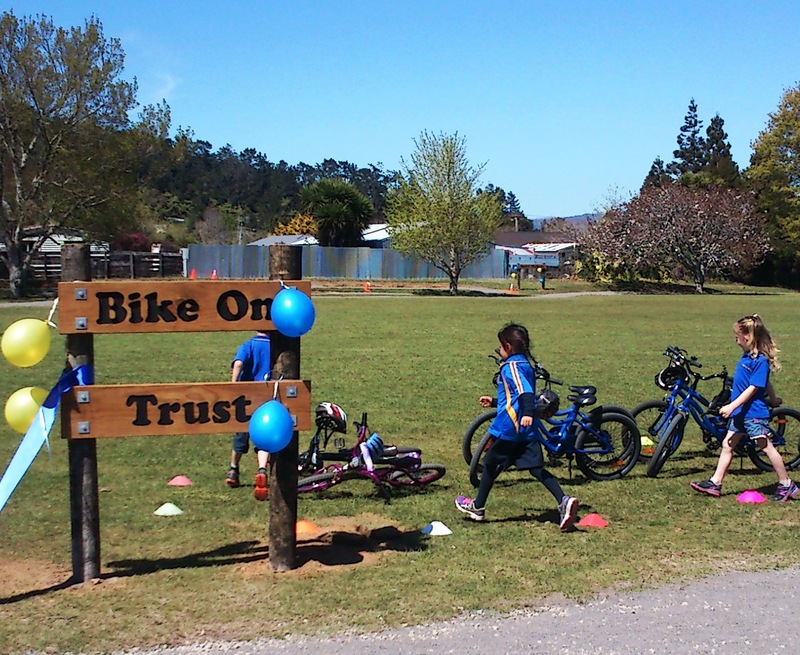 The ribbon was cut by the youngest and oldest children at the school – 5 year old Cody Heremaia and 11 year old Shar Malone, before fifty kids set off on a gentle first lap (before progressively speeding up for the next!). 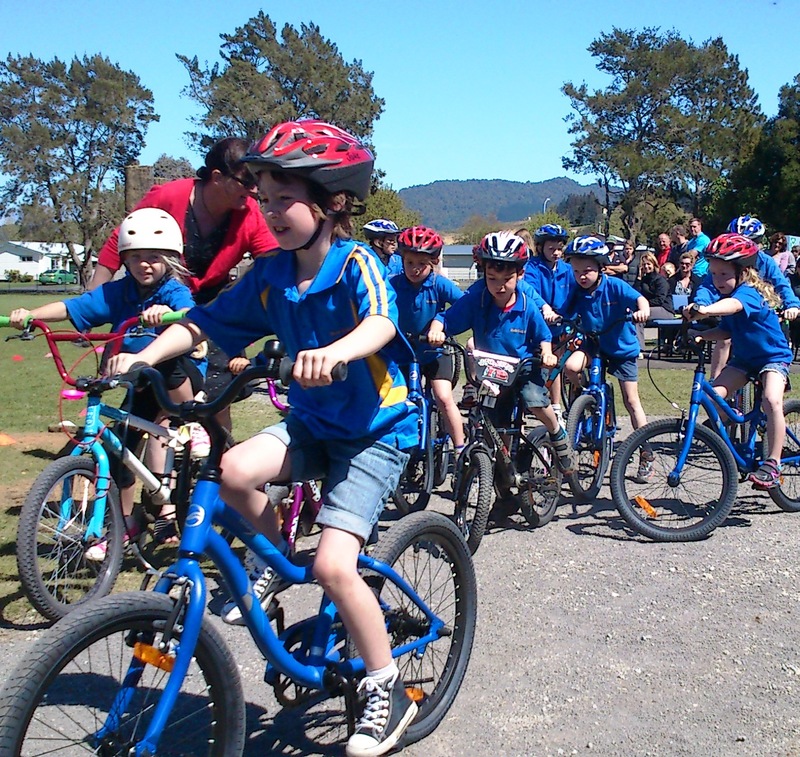 The school plans to start a bike club next term, and is hoping next year to start hosting an inter-school bike competition for the area too. They might have a bit of a head start on that one…. 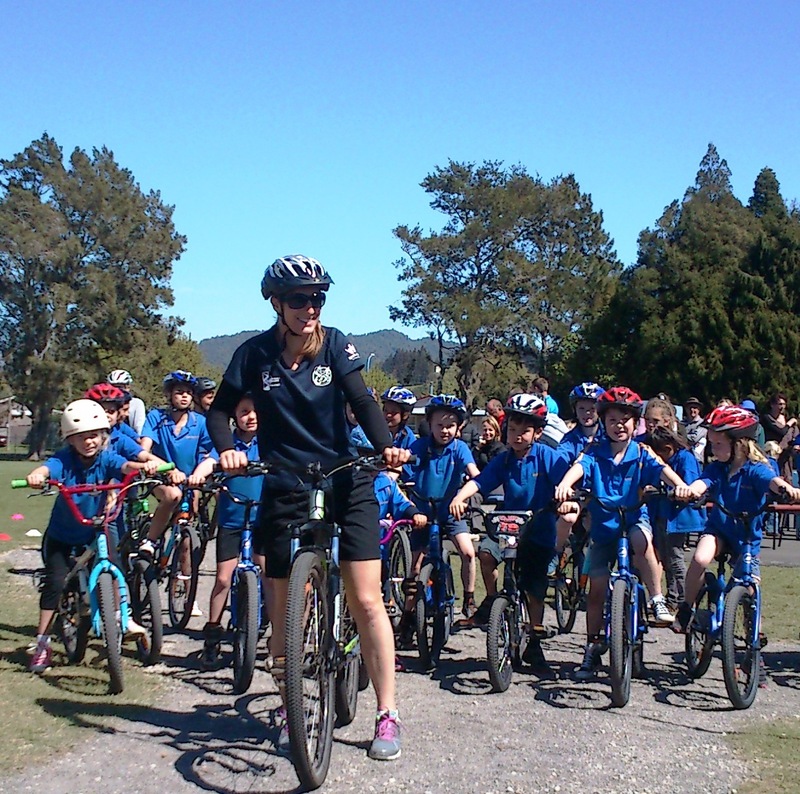 Special thanks for the generous support from Sport Waikato, Corbett Road Quarry, Waihi Sports and Cycles, The Lion Foundation and Valder-Ohinemuri Trust, all whom helped to make this project a reality.